Inside: New students have a hard time working on homework. 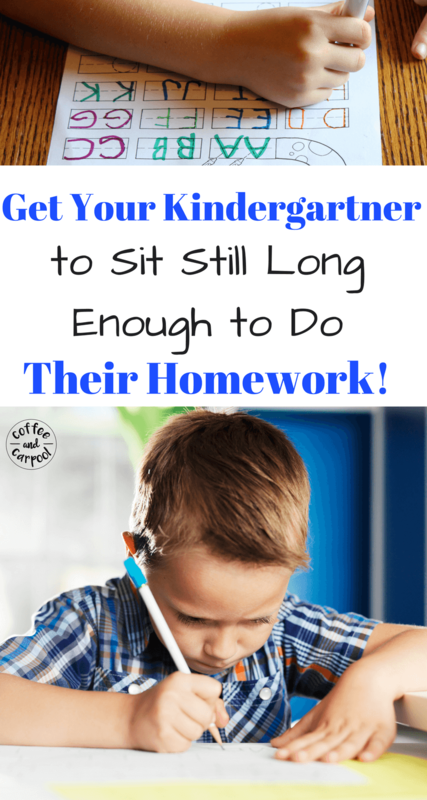 Kindergartners especially have no desire to sit still and often refuse to do their homework. 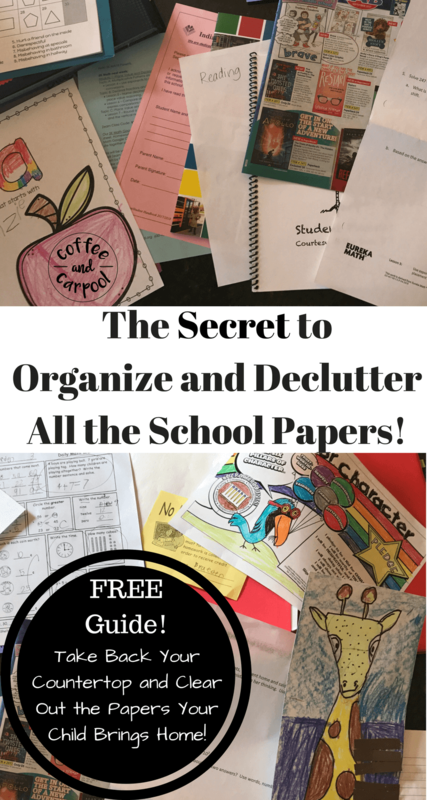 But there are tips and tricks to help new Kindergarteners do homework without complaining or without tears. Congrats! You’ve survived the huge parenting milestone of sending your child off to Kindergarten! But now there’s a new challenge for parents: homework. Some Kindergartners come home with no homework ever, some start it a month or two in to school, and some schools start to send home homework Day 1. There’s a huge debate over the purpose and benefits of homework in general and many, many parents are frustrated homework starts in Kindergarten. But if homework is being assigned to our youngest learners-and it is being assigned in the majority of our schools- we need ideas to help our Kindergartners do homework without complaints and without tears. Because while a few kiddos might be excited to do homework because it makes them feel like a big kid, many kids balk at the idea of sitting down to do more work after their hours at school. Our Kindergarten kids may fight us every step of the way to complete their homework, mostly because they’re absolutely exhausted. They are mentally and physically drained. These new students have been told what to do all day. They have probably had to sit still on a tiny rung spot with their legs folded under them way longer than they’ve ever had to. They have to actually work. And think. And answer tough questions. And now we expect them to do more work at home? More thinking? More sitting? Of course they’re going to complain or flat out refuse or revert to tears and a tantrum. But there are ways to help ease them into this new transition of coming home from school and doing homework. 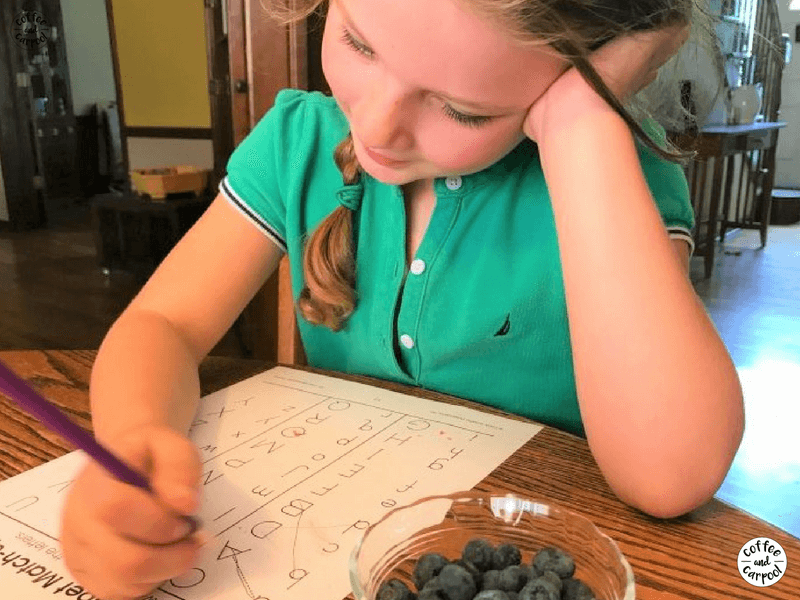 Before we get into Kindergarten specific tips, there are several things you can do to help set your student up for homework success for years to come. The first and most important is create an afternoon schedule and routine and be consistent with it. My kids know they come home, hang up their backpacks and empty them, wash their hands, get a snack, and start their homework. Because if it’s something that happens every day, my kids know what to expect. They know it’s coming. You will set yourself up for a lifetime of homework ease if you instill in them now the expectation that homework is done right after school. If you’re unsure how to set up an afterschool routine, use this one. My kids love to check things off their Afterschool Checklist almost as much as I love crossing things off my to-do list because they are in control of how fast they move through the list. 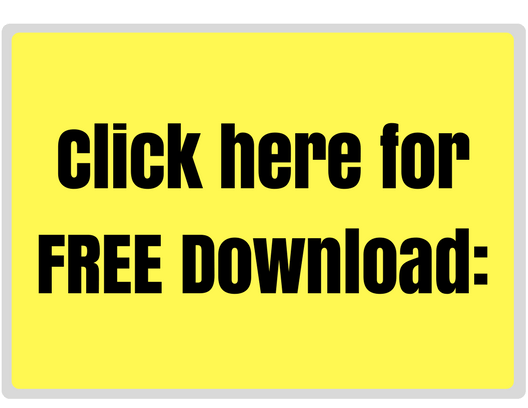 Get our Afterschool Checklist by clicking here. The faster they get their checklist done, the sooner they can go play. 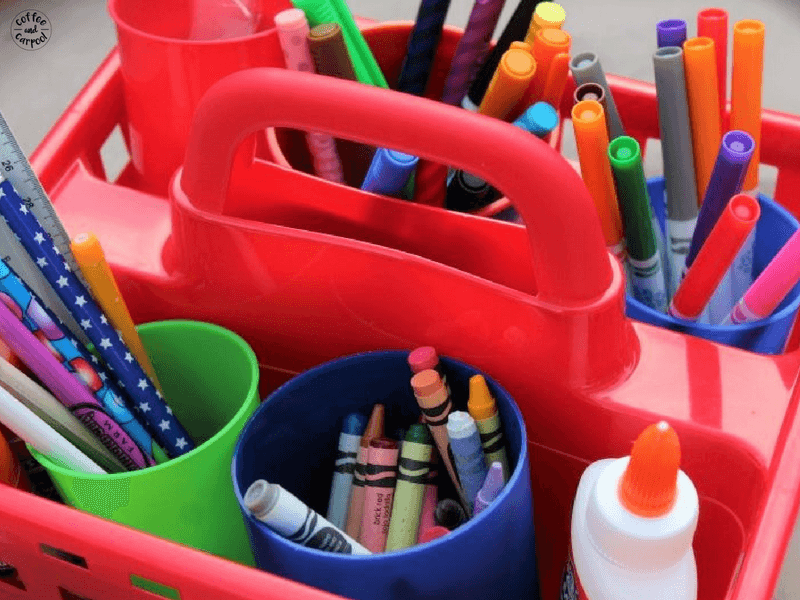 For more general tips and tricks for homework solutions, like setting up a homework station and a homework supply box, click here. If you set the expectation that homework is something we do and we do it without complaining, it will benefit everyone in the family. For you, you don’t have to hear the whining and can get through the afternoon without pulling your hair out or needing a cocktail by 4pm. For them, they get a treat. Try punching a hole in a sheet of paper for every time they finish their work without complaining. When they get five, they get a special “date” with mom or dad or get to go somewhere they love. Every month, you can increase the number of holes they need to earn the date. Whatever it takes to discourage the complaints. For our Kindergartners, we need to help them actually finish their homework. This is new. So there are going to be some growing pains. Keep in mind, not all tricks will work for all kids. You need to choose what you think would motivate your child the most. And if that doesn’t work, try another trick. We can’t expect these five-year-olds to sit and work independently in September. We need to build up to it. For the first week, sit next to them as they finish their work. Then the next week, sit across from while they work. During the third week, don’t sit with them, but stay in the same room. You can then graduate to being in and out of the room as needed. If they balk at you moving further away, take a step closer to them until they feel more confident. The end goal is them not needing you to be monitoring their every move. If a whole math sheet overwhelms them, cover some of it up with another paper. You can cover up half of the paper or you can cover it all and just show one line at a time. As they finish their work, slide the paper down until they get to the bottom of the sheet. It can be intimidating to sit down and finish all their work at once. Set a timer and have them work for five minutes. Then take a “brain break” for five minutes. Repeat the pattern until the work is finished. For the next week, extend the work timer to six minutes, but keep the brain break time the same. Some brain break ideas: listening to music, dancing, coloring, building Legos, exercising, jumping, or these really cool brain breaks on youtube. Who says kids have to sit still to do their work? Let them stand to finish their work. 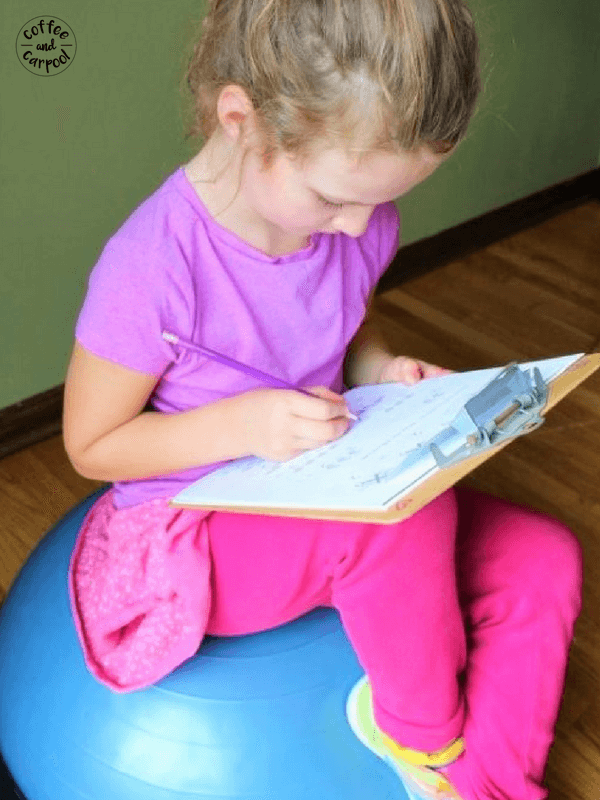 Let them do their work on a bosu ball or on an indoor trampoline with a clipboard. Standing, jumping, bouncing, stretching, spinning…whatever their little bodies need. If they can’t do these things while they actually work, encourage them to be active before and after homework time. Who says homework has to be done inside? They’ve been stuck inside all day. Let them finish their work while breathing in the fresh air. Fresh air and oxygen will wake them up, refresh them, and get their brain moving. Try working at a picnic table or on your back patio or balcony. Since many kids learn best when they’re moving, encourage them to use their body’s to learn. 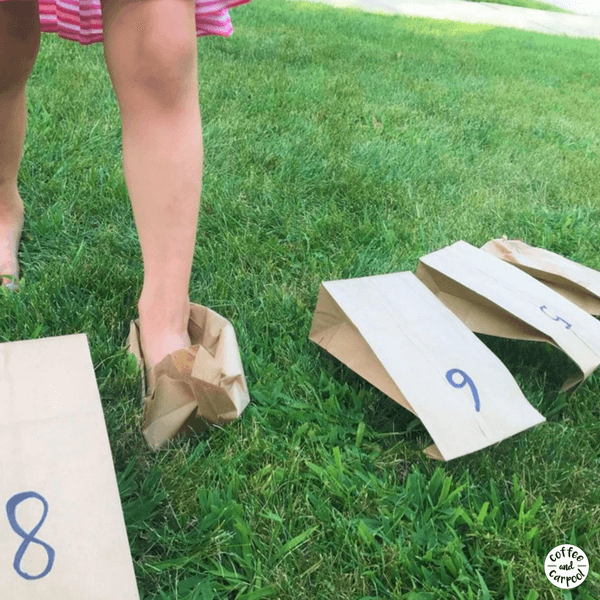 Let them stomp their math answers using this fun activity from the SuperKids Activity Guide. 3 + 4 = Stomp the 7! Then they can write it on their paper. Use chalk to practice their letters and sounds. If you write letters on the ground, have them run to the “C” or run to the letter that makes the /b/ sound. When they’re starting to read, have them spell words by running to each letter. 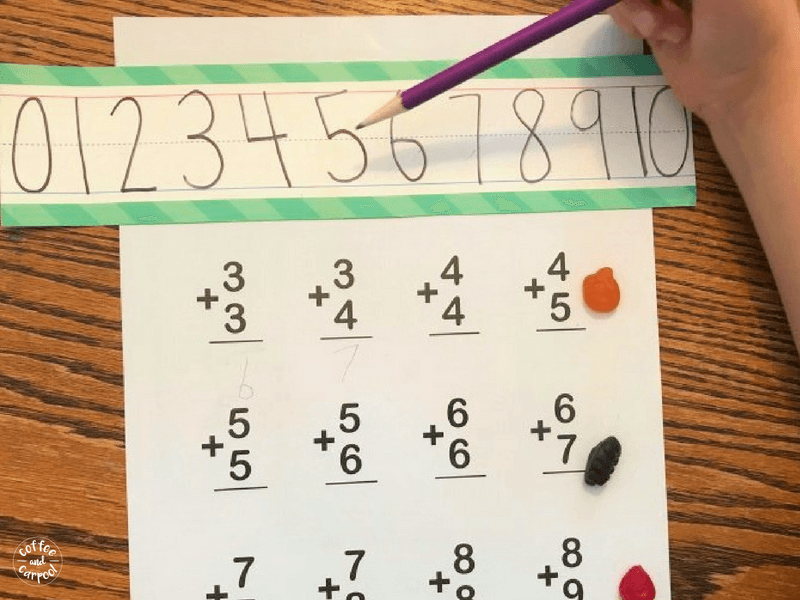 When it’s time to start adding and subtracting, let them use real tangible things that they can move to add or subtract. They can add and subtract with coins, Cheerios, crackers, or even their favorite toys. Grey pencils can be so boring. 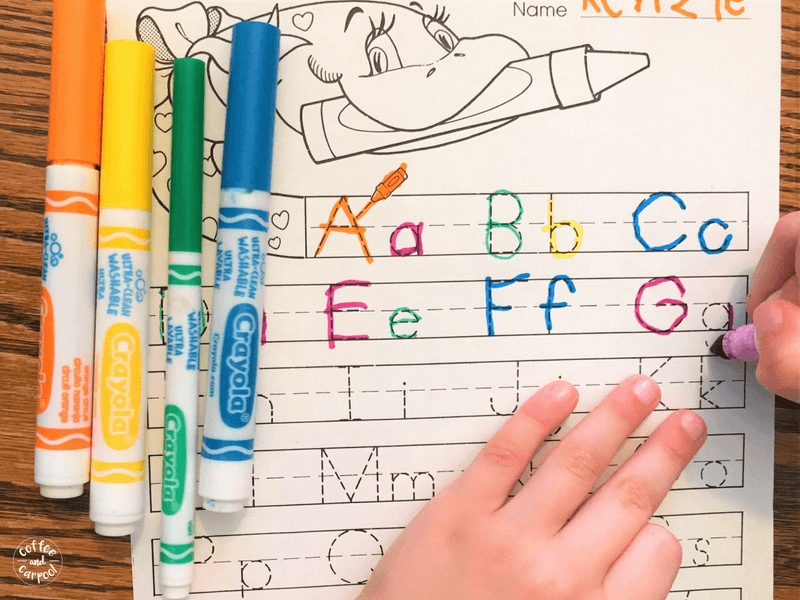 Let them use markers–or better yet, smelly markers–to trace their letters, write their name, or write their spelling words. Rainbow colors make monotonous work more enjoyable. My kids live for snacks, so they love to eat snack while they do their work. They do a problem and then take a bite. Offer them “brain food” during this time to boost their minds and memories: berries (especially blueberries), bananas, trail mix, sunbutter and jelly, and avocado (try guacamole and chips). Offer up rewards for when they finish a row of their work…stickers, stars, or even a treat. Put their favorite food at the end of a row of problems... I’ve used Goldfish Crackers, fruit snacks and even jelly beans. When they finish the row, let them eat the treat. The following week, only put the treat on every other line of work. Eventually, just put a treat at the end of the page. The goal is to wean them off of needing or expecting the treat. 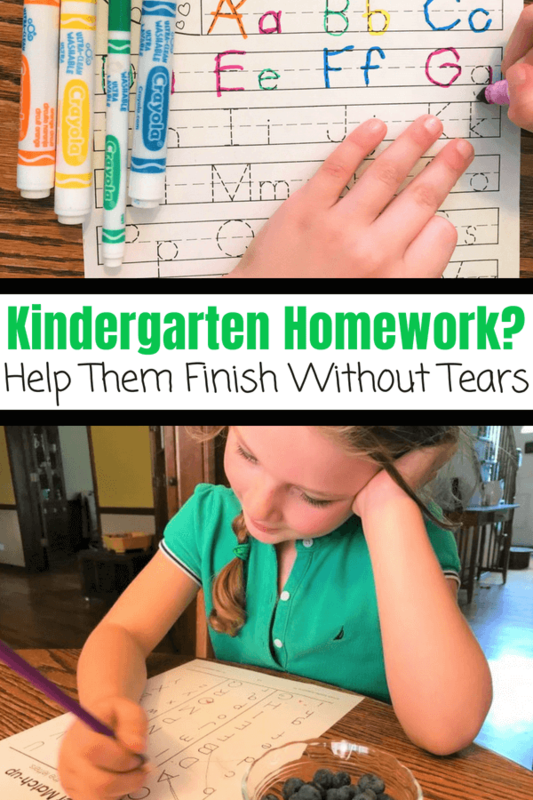 With these 10 tips, kindergartner homework will get done sooner without complaints, and without tears. And your afternoon will go much smoother. In some classes, yes! 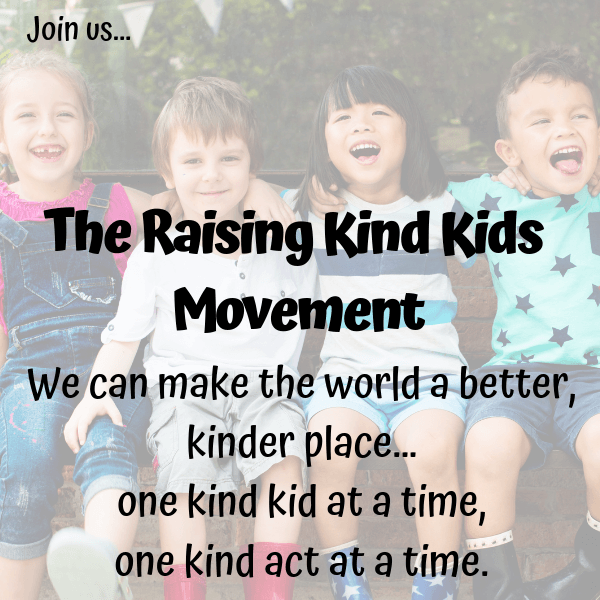 A lot of Kindergartners don’t start right away though…. Yes!! A lot of kids have to move to do everything. I force them to sit while they’re eating (I’ve given the Heimlich one too many times) but other than that, who cares if they’re standing or jumping while they spell or read or practice math facts??? Not only will they focus more for some kids, it will actually help them retain the info!! I know a lot of people get angered by this post because of it’s premise. I’m not trying to take a stand in favor of Kinder homework. 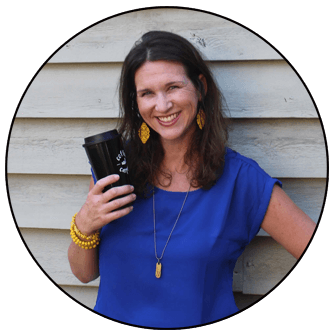 But if it’s getting assigned–and it is getting assigned– I wanted my readers to have some tips to help them get through it. 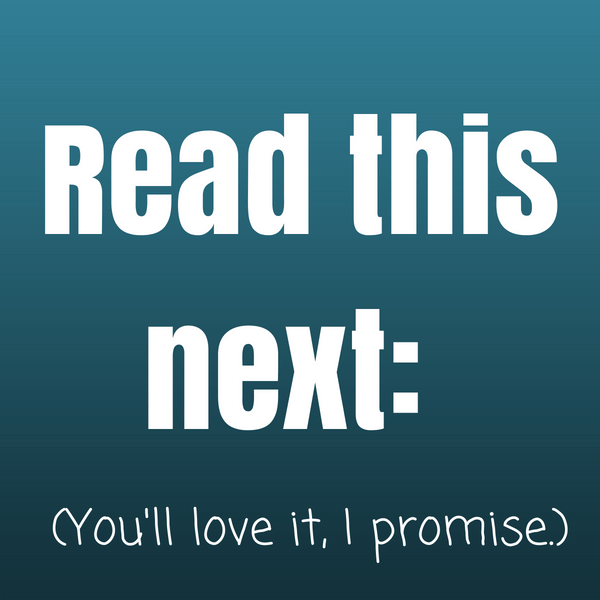 And you’re right, these tips will apply for anyone trying to do homework… Glad you liked the tips! I don’t have kids yet, but I definitely want to remember some of these great tips for when I do someday!